The water-cooled water chillers use a single closed-loop design for pressurized refrigerant. All models are equipped with compressor and motor overload protection, phase shortage and reversal alarms, anti-freeze thermostat, pressure gauges, etc. They feature excellent performance and a long lifespan. 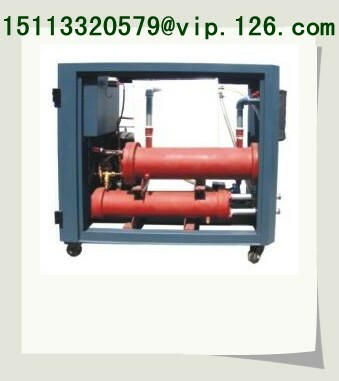 The series of working flow is based on the basic principle of heat exchange. 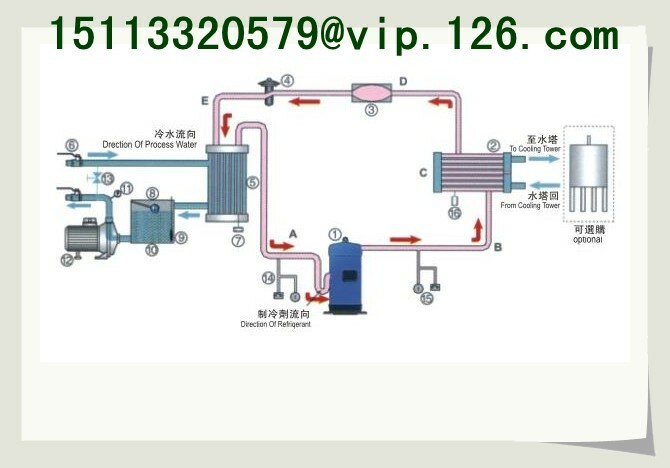 It is applicable to the industry that requires flow of precisely controlled chilled water, and considered as indispensable equipment for modern industry. Stainless insulated water tank and anti-thermostat. R22 refrigerant used as standard for efficient cooling. Refrigeration loop controlled by high and low pressure switches. Compressor and pump overload relays. 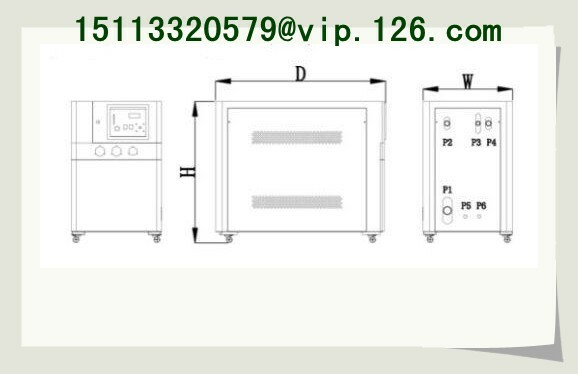 Tube-in-shell condenser design for quick heat transfer and excellent heat radiation. 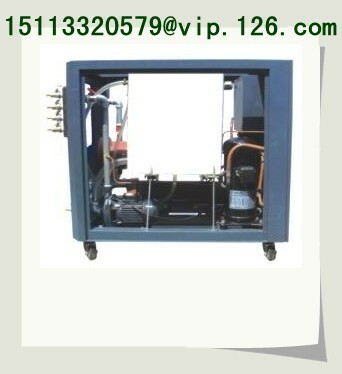 Tube-in-shell evaporator for excellent cooling. 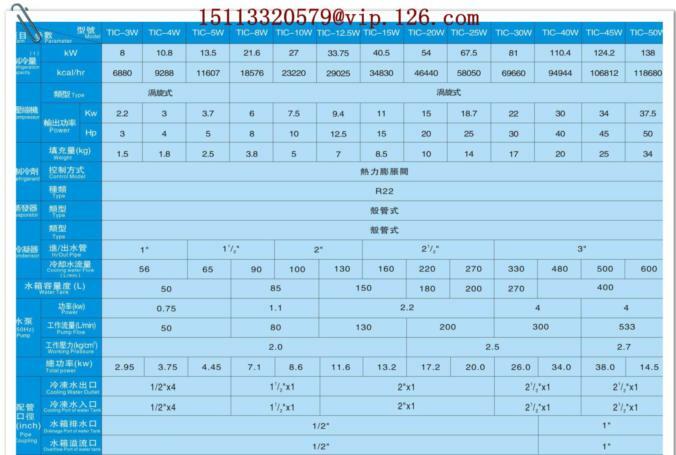 1 ) Refrigeration capacity is tested under the condition that cold water outlet temperature is at 12℃ and ambient temperature is at 30℃. 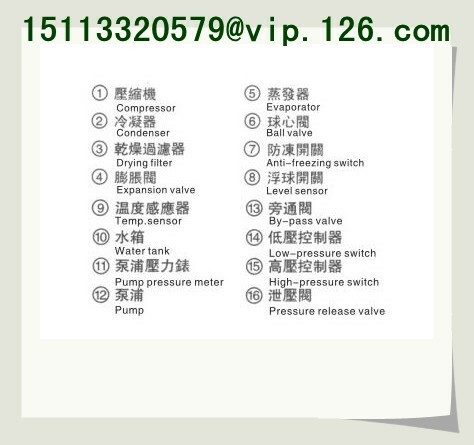 2) This pump is used as standard either for domestic of Southeast Asia; medium (Model denotes “P” ,such as TIC-5W-P) or high pressure pump(Model denotes” HP” .such as TIC-5W-HP) are optional for installation on customer’ s demands. 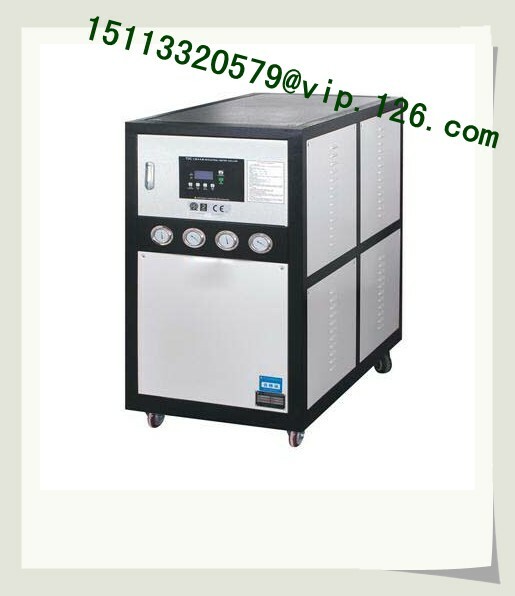 Demands on special voltage of power supply could be satisfied.